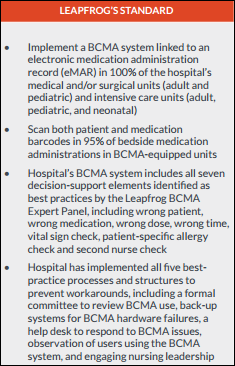 A Leapfrog Group report finds that while 98 percent of hospitals have bar code medication administration scanning technology connected to their EHR, only 30 percent of those hospitals are meet ingLeapfrog’s BCMA standard. The most common reasons for falling short are (a) not having all seven decision support elements available (most often missing were vital signs and allergies), and (b) not using the BCMA system in at least 95 percent of total bedside administrations. From Dad’s Tie: “Re: David Butler’s article. That guy is terrific. What he describes is exactly what my hospital organization needs.” Agreed. 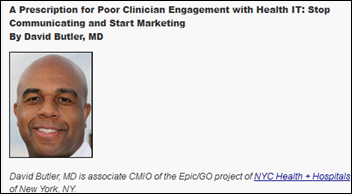 Dave’s article on marketing IT, written from his health system CMIO perspective, is a breath of fresh air. I hope he contributes regularly. 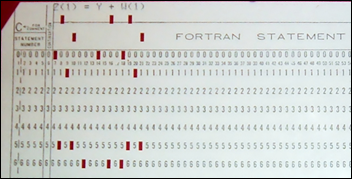 From Industry Watcher: “Re: Caradigm. Another huge round of layoffs last week with nearly the entire senior leadership team included other than the CEO.” Unverified. The cached version of its leadership page from three weeks ago suggests that seven of the 13 executives have departed, including four of five SVPs. I don’t assume that executive turnover under a new CEO is necessarily a bad thing, though (except obviously it often is for the people who are gone). Companies usually bring in new blood to make changes, not to preserve the status quo. From Unimpressed: “Re: Greenway Health. Working with the FBI after being hit by ransomware. Hosted customers on one of their platforms are still down, possibly until Monday. The company has had a long period of bad news and execs jumping ship.” Greenway says the attack affects its Internet-hosted Intergy customers, but adds that it expects to restore all their data from backups. The company was also involved in 2016 breach in which it misconfigured the patient portal of Florida Medical Clinic so that some patients could view the balance due statement of other patients. With regard to executives, the year-ago cached version of Greenway’s leadership page suggests that five executives remain of the 12 listed then. Greenway Health was formed in 2013 when Greenway Medical Technologies was taken private by Vista Equity Partners and combined with Vitera (the former Sage Software, previously Medical Manager) and SuccessEHS. Greenway’s HIMSS17 booth was noticeably downsized. From Dangling Participle: “Re: County of San Bernardino, CA. Has posted an RFP for a new EHR to replace Meditech C/S after halting efforts to connect to a neighboring hospital’s Epic system last year.” Looks right — I found this RFP for Arrowhead Regional Medical Center that also includes possible expansion throughout the county’s entities. One day after whining about the paucity of good Readers Write submissions, I received two excellent ones from David Butler and Joe Petro. I’ll use those a springboard to urge readers (especially non-vendors) to write pieces of their own. The process is good for organizing and presenting thoughts, the content is more important than writing perfectly, and the audience is substantial. It’s unlocked, so you can easily swap out the SIM at any time when traveling overseas or changing carriers. I popped my own AT&T SIM in without incident. 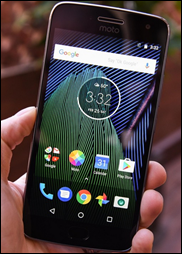 The Moto G has 4 GB of RAM and 64 GB of storage, plus it accepts a standard Micro SD card that allows adding up to 128 GB more storage for around $50. It comes with a nearly stock version of Nougat, the latest version of Android (Google, thank you again for creating a competitive market in developing Android). The learning curve in moving from iOS is nearly zero. Battery life is long and the TurboPower charging adds six hours of use after just 15 minutes of plugged-in time. Content that’s connected to your Google account (Gmail, Maps, YouTube, Drive, Photos, etc.) is instantly available on the phone. The fingerprint sensor works great to lock/unlock and is placed on the front of the phone where it belongs. The camera is 12 MP and the front one offers a wide-angle selfie cam that I’ll probably never use (since as a curmudgeon, I find selfie-takers to be irritatingly vain and self-congratulatory). It fits in my pocket even though the display is much larger, sharper, and brighter than that of the iPhone 5. It’s so cheap that phone insurance or delayed future upgrades are unnecessary. The only items I’ve missed: FaceTime (use Google Duo, Skype, or my choice, WhatsApp, instead) and “unread items” counter badges aren’t displayed on individual app icons – use a third-party app like Nova Launcher to add them or just pay attention to the notification bar and lock screen messages. This week on HIStalk Practice: Prime Healthcare ACO (CA) implements population health analytics and benchmarking from Persivia. DiagnosisAI develops new Alexa medical advice skill. Salus Telehealth adds urgent care consult capabilities. Portland healthcare darling Zoom gets exits the health insurance business. Consumers keep their enthusiasm for AI-powered healthcare to a minimum. SimonMed Imaging signs with Zotec Partners. Oncology Consultants selects Navigating Cancer technology. US Oncology Network physicians discuss carrots versus sticks when it comes to VBC compensation. 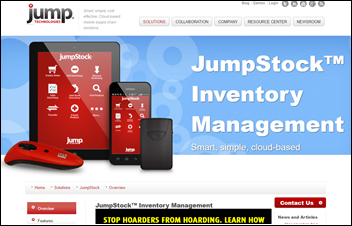 Health system supply chain technology vendor Jump Technologies raises $3.5 million in a venture funding round. 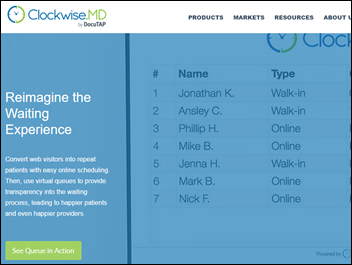 Urgent care PM/EHR vendor DocuTap acquires Atlanta-based Clockwise.MD, which offers patient queue management and survey systems. Athenahealth reports Q1 results: revenue up 11 percent, adjusted EPS $0.32 vs. $0.34, missing expectations for both. Shares were pounded in early after-market trading following the announcement, down 16 percent. Cerner reports Q1 results: revenue up 11 percent, adjusted EPS $0.59 vs. $0.53, beating expectations for both. Shares were up 4 percent in early after-hours trading. 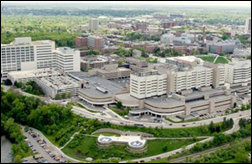 University of Michigan Health System chooses Phynd for managing the information of its 67,000 providers across its clinical systems. Dana Moore (Centura Health) will join Children’s Hospital Colorado (CO) as CIO. Precision medicine technology vendor GNS Healthcare hires Ben Bielak, MS, MBA (Harvard University) as CIO. Point of Care Decision Support names Jay Syverson, MBA (Coherent Solutions) as president. Solutions vendor Formativ Health hires David Harvey (Health Healthcare) as CTO. Datica promotes Kevin Lindbergh to chief revenue officer. 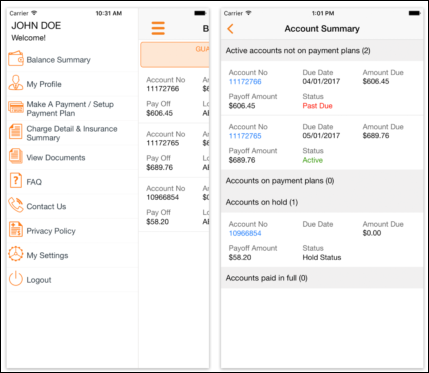 MedData launches MyMedicalMe, a mobile app that allows users to manage their medical bills. 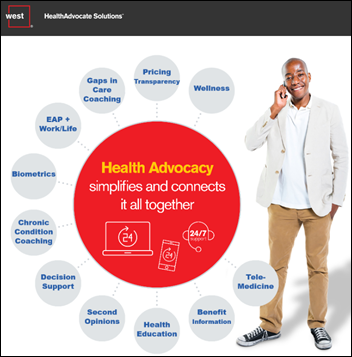 Partners HealthCare’s Connected Health expands its Online Second Opinion Service to allow collecting medical records, radiology, and pathology results through West’s HealthAdvocate Solutions. A Kyruus study of 40 health system call centers finds that three-quarters of them can’t match callers with an available appointment within the following three weeks, 60 percent are unable to meet gender-specific provider requests, and half are incapable of matching a patient with providers in their desired location. 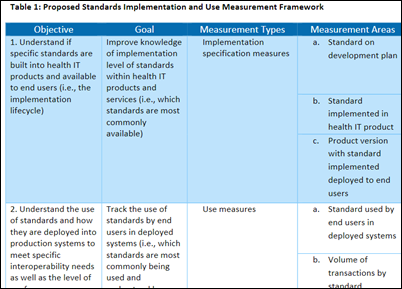 ONC seeks feedback on a proposed measurement framework for interoperability. Microsoft ends support of Windows Vista, which doesn’t necessarily mean that PHI-containing systems running on it constitute a HIPAA violation, but HHS says the resulting lack of security patches in unsupported operating systems warrants risk analysis (translation: you’re screwed if your old OS’s lack of security patches allows a breach). 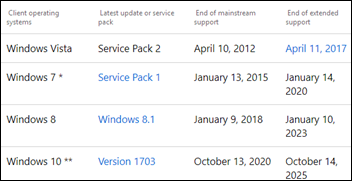 Windows 7 is the next to cross the rainbow bridge in early 2020 and then it’s Windows 8 in 2023. In England, a 20-year-old man who had made $300,000 from selling a distributed denial-of-service attack tool that he built when he was 15 is sentenced to two years in prison. A former Army sergeant pleads guilty to filing fraudulent tax returns using UPMC patient data that be bought from an online hacker marketplace. 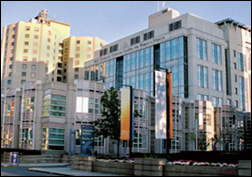 Brigham and Women’s Hospital (MA) offers voluntary buyouts to 1,600 employees, warning that a lack of takers will require layoffs. 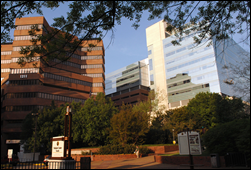 Moody’s affirms Vanderbilt University Medical Center’s bond rating, but observes that its financial performance will temporarily moderate with its November 2018 implementation of Epic. A NEJM opinion piece takes a mixed view from the “what problem are we trying to solve” perspective of requiring investigators who are running clinical trials to share their data with other researchers. It notes that data sharing increases clinical trial cost, assumes that whoever consumes the published data can really understand it since they weren’t involved in collecting it, and devalues the “currency of academic achievement” in giving investigators less opportunity to publish career-enhancing journal articles. The author also notes that participation in such sharing has been minimal and research benefits are uncertain despite the theoretical advantages. Eye Care Leaders, which offers an EHR for optometry and ophthalmology practices, will integrate DrFirst’s medication management and e-prescribing into its products. Phynd is exhibiting at NAHAM in Dallas, TX this week. LogicWorks achieves AWS Service Delivery Partner status. MedData will exhibit at the Advanced Institute for Anesthesia Practice Management April 29-May 1 in Las Vegas. CloudWave’s OpSus Live infrastructure as a service earns its third annual Best Practice rating in the Meditech Infrastructure and Supporting IT Process Audit. Meditech will exhibit during HIMSS UK e-Health Week May 3-4 in London. ROI Healthcare Solutions will sponsor the Inforum Conference July 10-12 in New York City. Zynx Health customer North York General Hospital wins the 2016 HIMSS Enterprise Nicholas E. Davies Award of Excellence. Navicure will exhibit at the Oregon/Washington MGMA meeting April 30-May 2 in Spokane, WA. Health Data Specialists sponsors the Cerner Southeast Regional User Group May 3-5 in Jacksonville, FL. Netsmart will exhibit at the Care Coordination Summit May 1 in Baltimore. Revenue recovery software vendor Ontario Systems adds the ReconBot claims automation from Recondo Technology. 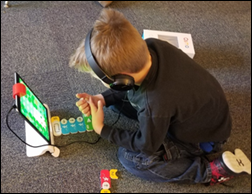 Obix Perinatal Data System will exhibit at the AWHONN Michigan Annual Conference May 5 in Frankenmuth. CloudWave achieves a best practice rating for OpSus Live. PatientKeeper will exhibit at Hospital Medicine 2017 May 1-4 in Las Vegas. Industry Watcher: Caradigm let go ~25% last August as parent wanted to get closer to profit. Exec’s that we’re recently let go we’re part of team that help with that reduction. They were mostly good people. This is not likely the purge and rehire of a team, but the second wave of cost reduction due to lack of sales. Current leaders are engineering managers moved into business leadership roles. Should not be long before pop health side company is gone and IP is folded into Parent Projects / existing Product line as Pop Health “module”. Are you saying that Population Health is not selling? Overall and not limited to Cardigm, I thought/believed that this sector was one with dependable demand for HIT products and services. Many players, large and small, are betting heavily on Pop Health to carry them thru this year. 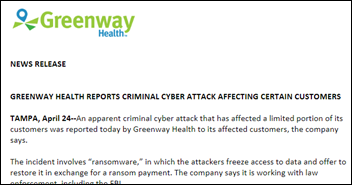 Cyber security alert issued yesterday warns healthcare industry, among others, of “malware implants” resulting from compromised privileged accounts. See https://www.us-cert.gov/ncas/alerts/TA17-117A for details. Re: Expired Mallow Cup’s post – I couldn’t agree more. 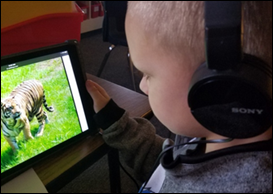 Building/entering order-sets requires critical thinking. There may be things that don’t map one to one. It takes someone with clinical skill and experience to test the crud out of it to make sure it works for the providers, nurses and pharmacists and ultimately is safe for the patients. We recently converted from Meditech Magic (controlled in house) to Cerner controlled at the corporate level. We have had to take so many steps backwards, going back to paper in many instances. They also don’t have any duplicate medication warnings turned on. So not safe for our patients. Like you pointed out it takes months to get changes done if you can even convince them that the change needs to be made. I’m all for standardization, but it must be with patient safety first. When you take end users who were used to warnings and alerts and remove all of those safety features it’s a recipe for disaster. I’m considering getting out myself! re: Moto G plus. How does the amount of time you spent researching your new phone compare to the amount you put into choosing your doctor? Probably about the same. Amazon didn’t offer to let me try the Moto G for one visit and then change if I didn’t like it (which is how I start with a new doctor after vetting their basic information on Healthgrades). However, when I ordered the Moto, Amazon didn’t say (a) the Moto isn’t accepting new customers; (b) we have a short list of far crappier phones we’ll sell you for the same $240 instead of the one you’d really like since Motorola/Lenovo isn’t willing to take the lowball payment we offered; (c) we’ll send you the Moto, but it will take at least six months; or (d) there’s one catch with the Moto — it runs on a narrow network, so you can use it only in this 20-square-mile region. I figure severe, acute illness will give assign me a provider (ED doc, hospitalist, surgeon, anesthesiologist, etc) that I didn’t choose anyway, and if I developed a less-acute but life-threatening condition, I would probably ask around extensively or head for Mayo, Cleveland Clinic, etc. even if I had to pay out of pocket. Bottom line is that I know what I want/need in a phone and only have to consider features, reviews, and price. For doctors, I don’t know until I need it. Jees, your crops must be comin in pretty good! Ain’t no U-Haul attached to the hearse. I’m the cheapest person I know and I’d still pay whatever I could muster (loan interest rates are low) if I wasn’t confident my “free” doctors couldn’t keep me moving above ground. Cheap doctors, lawyers, and Asian buffets usually cost less for a reason.